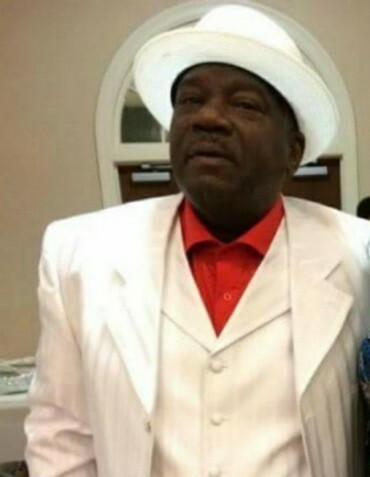 Obituary for Russell Hall | House of Law, Inc.
Russell Allen Hall, a son, given by the Lord to the late Garfield and Anna (Wilson) Hall, was born May 15, 1946 in Pittsburgh PA.
Russell was educated in the Pittsburgh Public Schools. At a young age, he decided to leave home to venture out on his own. Russell would work various jobs before being hired by Duquesne University's Department of Parking and Traffic Management, where he would remain until his retirement. Russell, a sharp dresser, was always GQ and dapper. Making sure that he matched from the Kangol or Fedora hats he would wear on his head to the Stacey Adams shoes which he wore on his feet. His jeans would adorn sharp front creases which added a sporty elegance to his attire. Russell was always handsomely tailored. He loved watching westerns, eating good food (especially ribs) and socializing with friends. Affectionately known as the family cut-up, Russell was often caught in family photos making clowning gestures. He had an infectious laugh and wonderful smile and will be sorely missed. Russell is preceded in death by his parents, Garfield and Anna Hall; a son Keith Johnson and two sisters, Janice Thompson and Sharon Hall. He leaves to mourn his passing his daughters, JoAnn Hall; Keli Hall and Malanna Rice. His sons, Russell Hall, Jr. and James Earl Price. One son-in law and one daughter-in law; 9 grandchildren and 5 great-grandchildren. Three brothers; George Hall (Lisa), Mark Hall (Tamar) and Charles Hall, and two sisters, Donna Stevens (Charles) and Linda Smith. As well as a host of nieces, nephews, other family members and friends. My hope is built on nothing less, than Jesus' blood and righteousness; I dare not trust the sweetest frame, but wholly lean on Jesus' name. On Christ, the solid Rock, I stand All other ground is sinking sand, All other ground is sinking sand. When He shall come with trumpet sound, and may I then in Him be found, Dressed in His righteousness alone, Faultless to stand before the throne. On Christ, the solid Rock, I stand All other ground is sinking sand, All other ground is sinking sand.